From 2011 to 2015, the number of Muslims in Catalonia has grown by 19.5%. That translates to 83,000 more people than 4 years ago. Not only that, the risk of terrorist attack has tripled in just this year (under the socialist government, almost 30,000 more Muslims, mostly uneducated, illiterate single males, have arrived). From 2011 to this year, the number of immigrants has doubled. They constitute more than one million people in a population of only 7 million. This “wonderful” multiculturalism, the creation of the EU and being promoted by the socialist government in Madrid exploded in the Barcelona terrorist attacks of 2017. After seeing this, what was the reaction of the Catalan politicians? Well no, with the Catalan separatists hamstrung as the duopoly parties close ranks against them, its graft and corruption as usual in Spanish politics. Campaigning for Spain’s general election, brought about when the minority socialist government, which gained power in a bloodless coup only last year, lost a confidence vote in the national Assembly. Campaingning for this election, to be held on April 28, begins on Friday this week and accusations of political espionage described as the country’s ‘Watergate’, external meddling and breaches of electoral law are flying in all directions. Last month Spain’s judiciary launched a probe into an alleged conspiracy by secret police and the former conservative government led by Mariano Rajoy to smear the reputation of the left-wing Podemos party founded in 2014. On April 1 Spain’s Socialist administration claimed to have deactivated the so-called “patriotic brigade” of senior police officers. “The sewers no longer exist,” said Interior Minister Fernando Grande-Marlaska. But Podemos’s leader Pablo Iglesias has since claimed the dirty tricks campaign against his party did not end when the more ideologically-aligned Socialist Prime Minister Pedro Sánchez came to power last June. Last weekend Mr Sánchez’s deputy press officer, Alberto Pozas, was summoned by a judge in connection with the theft of data from a mobile phone belonging to Mr Iglesias’s former aide. The phone was stolen in November 2015, weeks before the first general election in which Podemos took part, when Mr Pozas was editor of a now-defunct sensationalist news weekly called Interviú. Investigators found data from the mobile phone among the files of former police officer José Manuel Villarejo, jailed since 2017 while a court probes his role as alleged leading member of the “patriotic brigade”. Among a series of accusations against Mr Villarejo, the former police commissioner is believed to have staged a phony police probe into alleged financing for Podemos from the Iranian and Venezuelan governments. 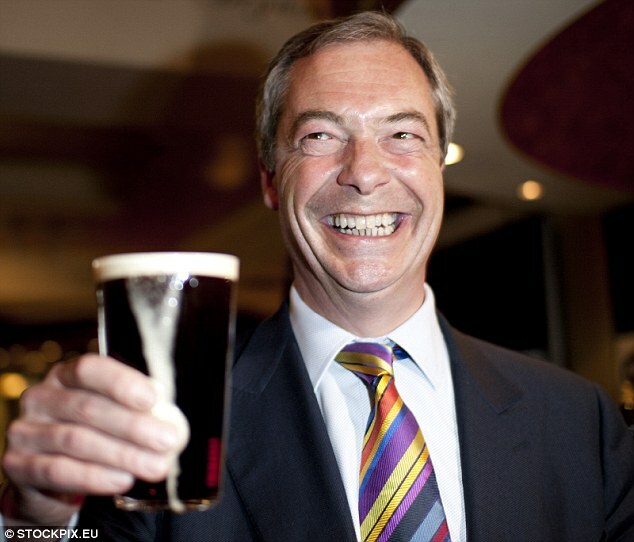 And while all this is distracting voters, the invasion of Spain by illegal immigrants from Africa goes on, as in so many other nations in Europe the ruling elite are oblivious to the concerns of their countrymen and women who are not so privileged, and are happy to replace the population with uneducated, unaware cheap labour. And so the smears and corruption, bribery, entrapment and general malfeasance will go on until election day and a vote, which in common with the last three general elections in Spain is likely to throw up an inconclusive result. Did you really think the UK is the only European nation where democracy is in crisis? 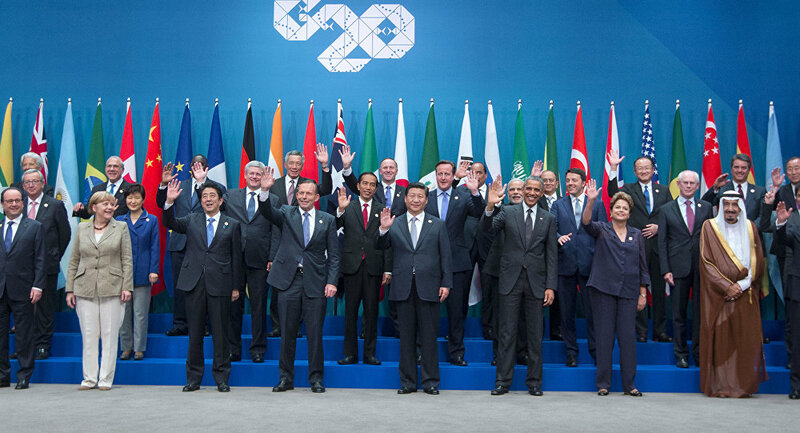 Ten years after The G20 first convened to bring together around a conference table the heads of state and government of the world’s largest economic powers and controllers of natural resources, the Group of 20 was doomed from the start. Russia and China were never going to agree to US economic hegemony, the European Union Nations were never going to accept Saudi Arabian human rights abuses and some of the third world nations were never going to be happy with the liberal democracies’ obsession with LGBT rights. For a while the group held together, though it was doomed from day one to start falling apart as son as global trading conditions started to get tough. At the latest G20 jolly, in Buenos Aires, the loud and clear message was the G20 and globalism are both on the wane as a forum for shaping economies and solving global problems. Set up in 2008 to regulate spiraling financial markets in the midst of the toxic debt crisis, the G20 format has managed to though when Angela Merkel or Barack Obama invited attendes to “All join hands and sing Kumbaya, fewer and fewer world leaders were willing to join in. It’s not that the idea of finding global solutions to global problems is a bad one, but that global problems require very different solutions in different parts of the globe. On top of this many of leaders sitting around the negotiating table have lost the political will to find such answers. President Donald Trump was elected leader of the USA was elected on a promise to ‘Make America Great Again’, which is not the extreme form of nationalism his opponents in the US claim, but nonetheless does not sit comfortably alongside leaders like Merkel or Emmanuel Macron, both of whom have recently asked citizens of the nations they lead to put the interests of people in other nations ahead of their own. With Merkel’s Germany facing a social crisis because of the stresses caused by her open doors immigration policy which has seen an influx of uneducated, semi – literate third world migrants whose lawless beaviour has led to the creation of no go zones for police and emergency services in cities and large towns, while the failure of Marcon’s presidency has plunged France into civil unrest as protests against rising prices, immigration, unemployment and falling standards of living have morphed into violent riots in the streets of big cities, these leaders remain in denial about the failure of globalism.. Isolation, nationalism and protectionism have all been resurgent since the financial crisis of 2008, as the alleged consequences of globalization that has widely been perceived as impoverishing working and middle classes while benefitting the rich and corporate business. The de facto leader of the movement to national interest is US president, Donald Trump. He is an avowed deconstructivist, — according to his critics someone who wants to tear down the existing order because he doesn’t think it works in his favor. Such criticism is unfair, all national leaders in nations that claim to be democracies are, in theory, elected to put the interests of their citizens first, never mind the rest of the world as Angela Merkel said in different words recently. Merkel however is clinging to power by her fingertips, at the head of a coalition that is too weak to get any controversial legislation though, simply because she is unable to accept that with German prosperity falling, her time is over, for the sake of her party and her country she should have step down. And yet Hausfrau – Volksfuhrer Merkel does not see the hypocrisy of asking German voters to put the interests of people in third world countries ahead of their own as she puts her personal interests ahead of her country’s and its peoples’. Macron too, though in power for less than two years, has seen his popularity fall in polls to unprecedented lows. This is partly because of his obsession with telling French voters that foreigners are more important to him than his own fellow citizens, as those fellow citizens struggle to make ends meet due to his tax increases and the inflation his policies on top of EU policies are causing. Merkel and Macron are the outliers however. Donald Trump, in his isolationism and protectionism is far from alone. Russian president Vladimir Putin, China’s Chairman Xi, the Saudi crown prince Mohammed (Mad Mo) bin Salaman, the Turkish autocrat Erdogan, at the G20 table don’t have much respect for international law which they precieve as favouring western or Christian interests. And more leader joining the “My country first” club. Italy’s Matteo Salvini has challenged the EU over its right to reject Italy’s budget. In Mexico, a populist has just taken office. In Brazil, a professed right-wing radical will be moving into the presidential palace come January. These changes, along with the possible collapse of Merkel and Macron’s governments make a grim outlook for globalists between now and the next G20 summit in Osaka, Japan. The German chancellor, the Canadian prime minister, the French president and EU representatives — those who waved the flag of multiculturalism and globalism, in Buenos Aires are facing an increasingly lonely struggle should they survive another year in office. Even within the EU, populism and isolationism are spreading. After Brexit, followed by rebellions against Brussels diktat in Poland, Hungary, and Spain, the most recent example of this shift is the populist government in Italy. Reading the thin communique adopted by G20 members, it appears that this assembly representing two thirds of humanity is little more than an empty shell. Admittedly, the leaders did commit to reforming the international trade system, although moves led by Rusia and China to replace the petrodollar as the main currency for world trade forced that decision on them. But in the meantime, members of the G20 impose punitive tariffs on each other in an attempt to get a bigger piece of the global economic pie. There’s certainly a wide gulf between theory and practice. Integrity Initiative: A Look Into the Deep State? Early in 2018 the name Andy Pryce began to circulate around the rumour mill. He had been making statements to the press about Russia, where he was described as ‘Head of Counter Disinformation and Media Development’ at the Foreign and Commonwealth Office. I asked some former Foreign Office people I know if they had ever heard of a ‘counter disinformation’ team – they hadn’t. The earliest press reference I could find to him and his job was in September 2017, so this was apparently a relatively new role. Also in September 2017, Pryce took part in an event called ‘DEMOCRACY AND PROPAGANDA: Can independent media defend universal values?’, held in the Hilton Hotel in London. This was organised jointly by the European Endowment for Democracy and the EU Eastern Partnership, which, it turns out, is an FCO programme that “works to counter and reduce the effect of destabilising disinformation”. Pryce took part in the first round of Ukrainian-British interagency consultations on countering cyber threats held in London in March this year. He took part in the 2018 EU DisinfoLab, in April. In October he took part in the Atlantic Council’s Global Forum on Strategic Communications and Digital Disinformation event, held in Washington DC. Of note here is that this was a two day event. Andy Pryce’s contribution came on day two, which has not been made available on video. To get to the bottom of what Andy Pryce is, and what he does, I decided Freedom of Information was probably the best approach. I asked about the scope of his role and the size of his team, and was both bemused and amused that the request for information was refused on the basis of ‘national security’: the Freedom of Information act says that national security can only be used as grounds for refusal where intelligence services are involved. Nearly a year since the submission of that question, the FCO’s response is now under investigation by the Information Commissioner. It is good that Barack Obama was never sent anything resembling the 26,171 bombs that his administration dropped in the final year of his presidency, for example. [ … ] People would have been killed and badly injured if anyone had been sent anything like those kinds of explosive devices, their bodies ripped to shreds like the countless civilians killed in the airstrikes which resulted from the Obama administration’s expansion of Bush’s so-called “war on terror”. Last month Yemen’s civil war slipped into its fourth year. It’s a war without obvious good or bad guys: Security Council investigators have documented violations of international humanitarian law by all sides. UN human rights officials nonetheless claim that the “leading cause” of civilian casualties are airstrikes by the Saudi-led coalition, which backs Yemen’s President Hadi against Iranian-backed Houthi rebels and allied supporters of former president Ali Abdullah Saleh. US Aiding Massive Genocide in Yemen at Behest of Saudi Arabia Civilians in Yemen are still in the grip of a major humanitarian crisis as Saudi Arabia’s war on the impoverished republic continues unabated. Shocking numbers are affected including 7 million civilians facing severe malnutrition, and 19 million out of the country’s 27 million population “in need of some form of aid.” However, all of this is made worse by the Saudis having imposed a blockade on humanitarian support. Over 4000 Civilians Have Died In Forgotten War.